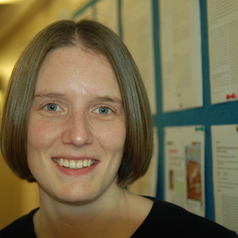 Dr Emma Boyland is a Lecturer in Appetite and Obesity at the University of Liverpool. Her PhD research examined food promotion to children in the UK and its effects on their eating behaviours. Her specific research expertise lies in quantifying the extent and nature of food advertising via television, new media and other sources (e.g. supermarket and point of sale promotions) and elucidating the impact of branding activity (e.g. use of promotional characters), and both situational factors (e.g. hunger state), and intrinsic factors (e.g. tendency to eat in the absence of hunger, cue responsiveness) on children’s food preference and intake responses to food marketing. She has published 25 experimental papers, 11 review articles, and 6 book chapters to date, as well as over 30 published conference abstracts. She is a member of the Scientific and Technical Advisory Network for World Obesity and is a Trustee of the UK Association for the Study of Obesity.